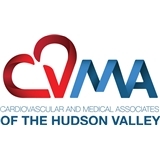 Cardiovascular and Medical Associates (Fishkill) - Book Appointment Online! We Listen to Your Heart So That We can Hear What it says about You. Why Choose Us: Our practice,unlike any other in the Hudson Valley, caters to the individual patient. We do not believe in the "5 minute appointment". Our physician takes the time with you that is needed to resolve your medical needs. Our Mission: To integrate cardiovascular and medical care in a one stop procurement. What We Do: We provide all non-invasive and invasive interventional cardiovascular care. as well as in-office vein therapy.